Tear stained cheeks, dishevelled hair, bloodied breasts and dark clothing transformed the body to give physical representation to the altered emotional state, ritually polluted condition and societal status of the Roman mourner. The expression of grief affected not just the physical surfaces of the body, but also its voice. This chapter explores the soundscape of Roman mourning, one that ranged from silence to clamour, from inarticulate groaning to finessed speeches. Mourners could wail, moan, cry, speak, shout, sing, and be accompanied by musical instruments. It is argued that the vocalisation of grief was not an uncontrolled emotional process, but an orchestrated performance, created to appease the dead, and also dictated by the status of the deceased, and the status and gender of the mourners. The acceptable and unacceptable aspects of vocalising grief are investigated through literary evidence, of diverse genres, and some visual depictions of death scenes. Citation: Hope, Valerie (2019) ‘Vocal Expression in Roman Mourning’, in Shane Butler and Sarah Nooter (eds) Sound and the Ancient Senses, Routledge, Abingdon and New York: 61-76. 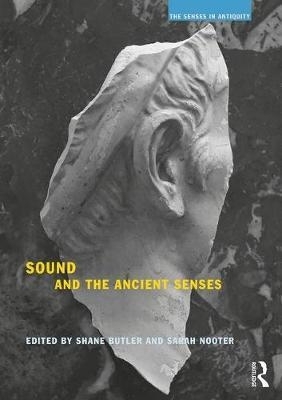 Find out more about the Sound and the Ancient Senses book on the Routledge website.